How do I know if what I’m feeding my pet is OK? Is it better to do homemade food? What ingredients are good? How much should they be fed? Is grocery store food really that bad? There are always questions that we ask ourselves when reaching for that bag of kibble.  To help you decide which pet food is best for your pet, Lomsnes Veterinary Hospital has put together a list of eight tips when deciding on pet food for your furry family member. 1. 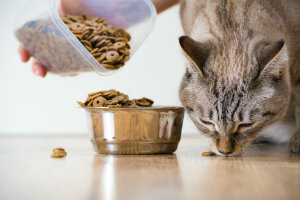 There are a lot of pet foods out there, many of them claiming to be “complete.” It is important to be cautious of nutrient deficiencies and possible chemicals in your pets’ food. Some foods can set off allergic reactions, and may not be as balanced as they claim. 2. Figure out whether you are feeding your pet the right amount of food. The “right amount” is recommended in different feeding guides, by pet food manufacturers or by veterinary professionals. Since all pets come in different shapes & sizes it is hard to pinpoint an “average” to feed a particular pet. Our veterinarians will be able to tell you just how much and how often your pet should be getting their meals. 3. Measure your pet’s meals. Free-pouring or eyeing the amount of food you feed your pet can make a big difference over time. Be sure to use measuring cups or a scoop with marked measurements so that you can be consistent and ensure that you are not over or under feeding. 4. Treats. We love to reward our pets! Remember like people, we need to be cautious of the caloric content of treats. They can be high in calories in some cases and are in addition to your pet’s regular food intake. Instead of getting carried away in giving your pet treats, try to be aware how frequently you are handing them out. One treat can have as much sugar as chocolate bar for us! 5. Cats require a significantly higher percentage of protein than dogs – do NOT substitute dog food for cat food or cat food for dog food. It is not the same. 6. Change isn’t always good. We as people love variety, but changing your pet’s food brand or type of food can really upset your cat or dog’s tummy. If you do decide to switch foods, it most definitely needs to be done gradually by mixing in small amounts of the new food with the old food. Always consult with our veterinarians prior to changing your pet’s diet. 7. Consider exercise. Pets need to be active in order to remain healthy. When deciding on your pet’s food you should evaluate their activity level and figure out the food that would go best with their lifestyle. 8. Remember: All pets are different. 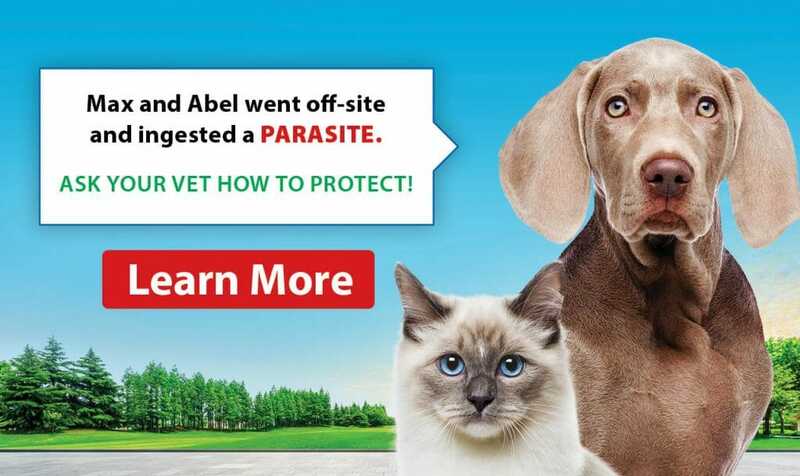 Each pet has its own nutritional needs based on age, breed, weight, life style, and your pets individual medical history, so be sure to look at each pet separately. At your pet’s next wellness exam, ask our veterinarians for a diet recommendation and discuss what is best for your pet. 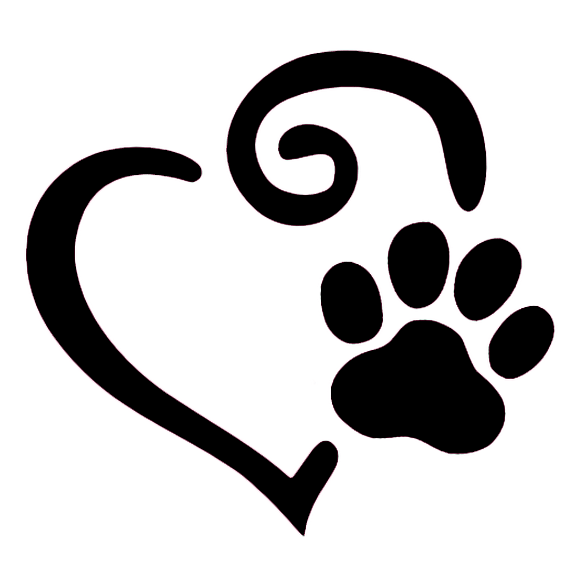 Our ultimate goal is to help your pet live a happy & healthy life!